A Bucket is a mechanism for grouping objects in DreamObjects, similar to a folder. 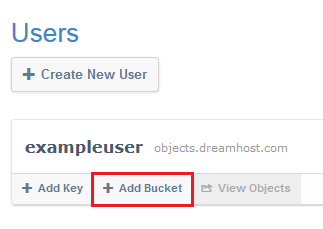 Unlike a folder, Buckets exist in a global namespace inside DreamObjects, which means that bucket names must be unique, just like a domain name, since they are used to create public URLs to store objects. Click the ‘Manage’ tab at the top. Under your username, click the Add Bucket button. Enter a name for your bucket in the Bucket Name field box. Click the Add Bucket button. Click the ‘Change Settings’ link to the right of your bucket. 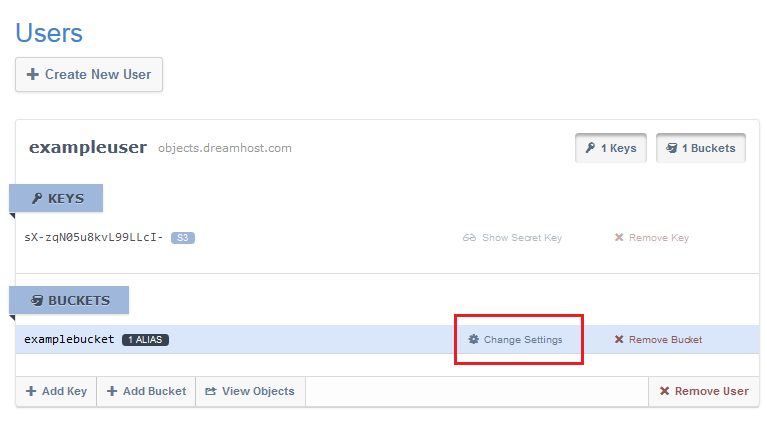 Select a permissions setting for the contents of your bucket by clicking the 'Permissions' toggle button. Choose either Private or Public. You can change the permission setting at anytime after creating the bucket. 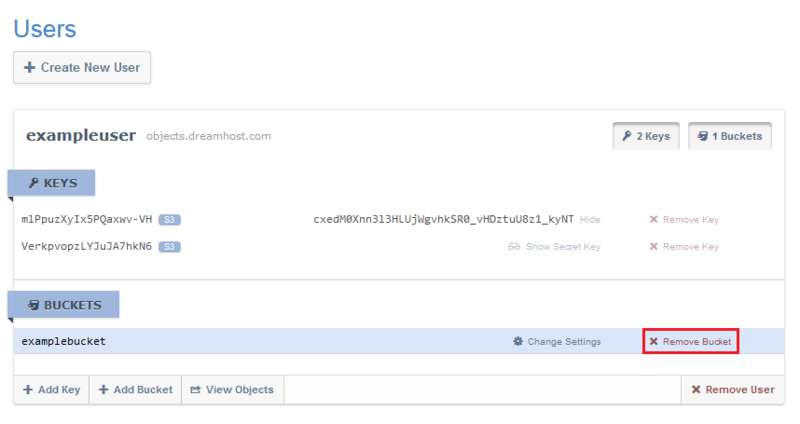 Public means that it is possible to view the Bucket properties and a list of the contents of the bucket by navigating to the Bucket URL. Although you will be able to see that an object is listed as part of the contents of a Bucket, the actual Object cannot be read unless it has also been marked Public. Modify the permission settings on an existing Bucket at any time. Add or remove contents from a Bucket. It is not possible to change a bucket name or transfer the bucket to another user. It is not possible to delete a bucket that contains any objects. Additionally, the bucket deletion operation is non-reversible. MAKE SURE sure you have backed up all data in the bucket before deleting it. You can use this S3cmd command to delete all bucket contents. To the right of your bucket, click the Remove Bucket button. Click the Remove button to delete the bucket. Article last updated April 08, 2019 22:43 PST.